There is no definitive evidence about which therapy a clinician might preferentially recommend in BP. However, there are a number of shared characteristics in the therapies reported to be effective. Scott & Gutierrez (2004) identify that the 12- to 20-session courses of therapy all include four key interventions: psychoeducation, medication adherence, lifestyle regularity (including reduction in substance misuse) and relapse prevention. 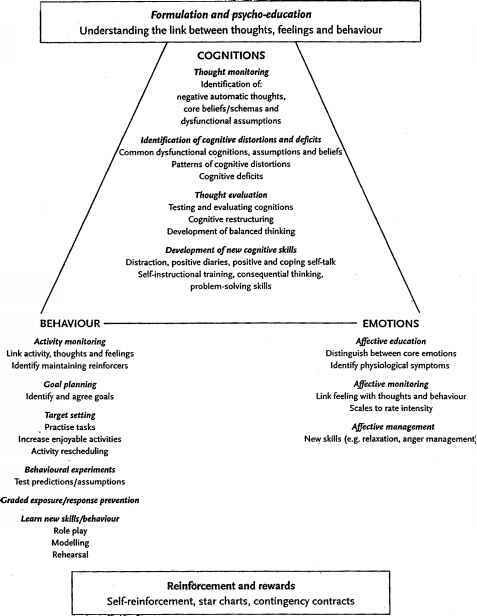 Furthermore, each of these interventions assumes that cognitive, behavioural, emotional and interpersonal domains are inter-related and, in interaction with biological factors, are associated with the persistence or recurrence of affective symptoms (Scott, 2001a). The therapies all regard these five domains as the key targets for change, although the relative emphasis of each approach varies, giving clinicians some opportunity to select between approaches. For example if the individual lives in an environment with high levels of expressed emotion it may be beneficial to use FFT. Not only do the psychological interventions overlap in their objectives but, as noted previously by Teasdale (1985), the brief psychotherapies of proven effectiveness demonstrate similarities in their core clinical characteristics (see Box 18.1). The therapies identify unique aspects of people's reactions or adaptations to their illness and develop an individualized plan for treatment. By taking a collaborative and educational approach, the therapy allows individuals (and their significant others if appropriate) to be engaged as equal partners in the treatment process. 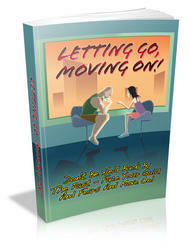 There is also an emphasis on the development and independent maintenance of new coping skills and strategies. The above characteristics are critical to the approach required for BP. For example, many individuals with BP would resist and challenge a more didactic approach to treatment (Scott, 1995). Individuals with BP, and sometimes significant others in their lives, play an active role in developing the formulation of the problems, so the interventions used appear rational and logical, giving therapy for BP a sense of coherence. The structured approach to each session with agenda setting, prioritization of problems for discussion and joint development of 'homework' (in vivo) tasks, enables clients to retain their focus on the session even when hypomania leads to greater distractibility. The approaches also offer individuals respect, information and choice. These features help increase their sense of self-efficacy as they begin to learn to gain control over what they can realistically control and accept or acknowledge what they cannot. This may be particularly helpful to individuals who experience low self-esteem and perceive a loss of identity following repeated episodes of BP. 1. The therapy offers a specific formulation that can be applied to the individual's problems. 2. The model of therapy is shared openly with the client. 3. There is a clear rationale for the techniques used and the techniques are applied in a logical sequence. 4. There is an emphasis on skill development and transfer of learning outside of therapy sessions. 5. Change is attributed to the clients' rather than the therapists' efforts. 6. The client maintains the use of the techniques beyond the termination of therapy, increasing the prospects that the benefits will be durable.